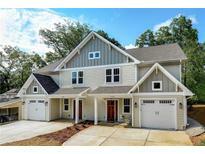 Below you can view all the homes for sale in the Seversville subdivision located in Charlotte North Carolina. Listings in Seversville are updated daily from data we receive from the Charlotte multiple listing service. To learn more about any of these homes or to receive custom notifications when a new property is listed for sale in Seversville, give us a call at 704 604 8836. Beautiful city skyline views. Immaculately maintained. MLS#3495429. Keller Williams Mooresville. Get in now to choose colors! MLS#3496105. Daedalus LLC. Get in now to choose colors! MLS#3496109. Daedalus LLC. Interiors feature large windows, Stainless Steel appliances, gas range, European-style flat panel cabinets, Carrera quartz, chrome fixtures, pre-finished hardwoods in living areas and hallways, tile baths, PLUS optional private rear courtyard, backsplash options & rooftop turf upgrade. MLS#3493056. Savvy + Co Real Estate. Interiors feature large windows, Stainless Steel appliances, gas range, European-style flat panel cabinets, Carrera quartz, chrome fixtures, pre-finished hardwoods in living areas and hallways, tile baths, PLUS optional private rear courtyard, backsplash options & rooftop turf upgrade. MLS#3491990. Savvy + Co Real Estate. Interiors feature large windows, Stainless Steel appliances, gas range, European-style flat panel cabinets, Carrera quartz, chrome fixtures, pre-finished hardwoods in living areas and hallways, tile baths, PLUS optional private rear courtyard, backsplash options & rooftop turf upgrade. MLS#3493070. Savvy + Co Real Estate. Minutes to Uptown, all Major Highways, the Greenway, Blue Blaze and Town Breweries, Rhino Market, Local Restaurants & more! MLS#3480058. Keller Williams South Park. Just minutes to Uptown, I77 and the 277 - This home will be walking distance to the new proposed gold line, see the link for more info! https://charlottenc.gov/cats/transit-planning/gold-line/Pages/default.aspx MLS#3480621. Yancey Realty LLC. Trex front porch. So many extras must see MLS#3477208. Compass Realty Partners LLC. Seversville is booming - great opportunity to be part of the Uptown scene! MLS#3474193. Movement One Realty LLC. Days on market reflect construction period. MLS#3472445. Daedalus LLC. Come see this beauty for yourself. MLS#3469460. Glen Alford Realty LLC. Fine and casual restaurants nearby. Pre-inspection performed and repairs made. MLS#3460086. Fesmire Marshall Properties. Take advantage of this rare find, this home has it all and will not disappoint; dark hardwood flooring throughout, generous gourmet kitchen, Stainless Steel appliances, kitchen tile backsplash, open-concept living with room to sprawl, stylish designer finishes, quartz and granite countertops throughout, custom master suite that features a marble tile bathroom/shower master bath, expansive deck that's great for entertaining, and all new electrical, plumbing, and roofing...Don't forget about the office off the first floor, the list goes on. MLS#3457521. Savvy + Co Real Estate. Builder allows for some customization in regards to; paint, stain, tile, cabinets, electrical/plumbing fixtures, this is an excellent opportunity to personalize your dream home without the huge expense, hassle & time that comes with a custom home build. No HOA! MLS#3451695. The Virtual Realty Group. Days on market reflect construction period. MLS#3445770. Daedalus LLC. You will love this spacious ranch home. MLS#3439119. The Blackmon Group, LLC. Enjoy the views of downtown during the winter month. MLS#3414671. Carolina Realty Solutions. *Images are of a similar townhome with similar finishes by Rivus. MLS#3404695. Keller Williams South Park. 2 bed/2.5 bath w 2 car tandem garage & OPTIONAL ROOFTOP TERRACE. MLS#3394741. My Townhome. 2 bed/2.5 bath w 2 car tandem garage & OPTIONAL ROOFTOP TERRACE for additional $24,000 Structural Upgrade on interior units MLS#3392924. My Townhome. Furnished sales model available for viewing. MLS#3361170. My Townhome. Community is walkable to breweries, restaurants, greenway trail to uptown/Frazier Park and literally 3 min to uptown. MLS#3360098. My Townhome. *** ROOFTOP TERRACE OPTIONAL with additional upgrade $24,000 structural selection on interior unit offer to purchase *** MLS#3354932. My Townhome.